Want to surprise a loved one with a unique gift that doesn’t cost the earth? 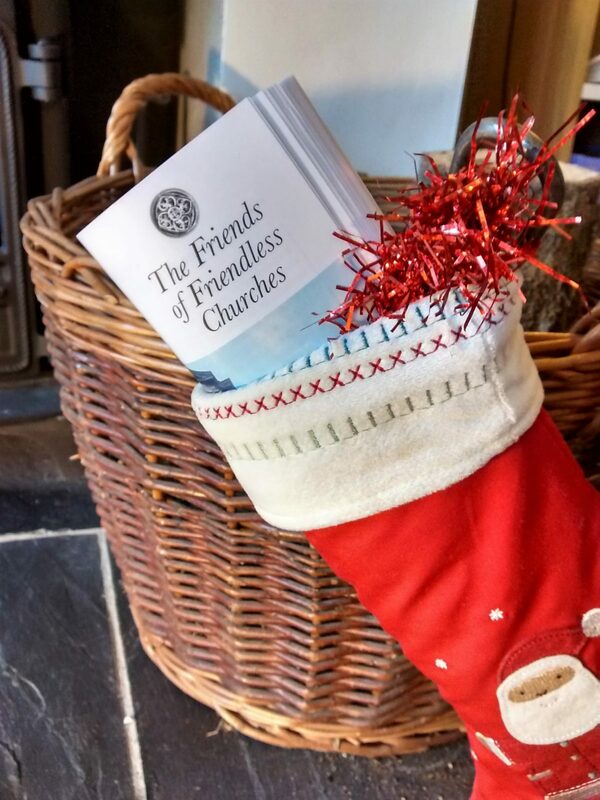 Membership of the Friends of Friendless Churches is a sustainable way of giving – and one bound to bring a smile to their face on Christmas morning! Gift Membership is great value at £20-£30 per year (or £700 for life membership) – and particularly as you automatically become a member of our kindred charity, the Ancient Monuments Society –two societies for the price of one. Gift Membership includes a personalised Christmas card; three newsletters each year, packed with news and views from the world of church heritage and building conservation, plus invitations to our AGM and the Autumn visits of the Ancient Monuments Society. Last posting dates: The last date for Christmas orders is 17th December 2018 (if you join after that your membership pack will follow in the New Year). A big Thank You to everyone who supports our work this Christmas!